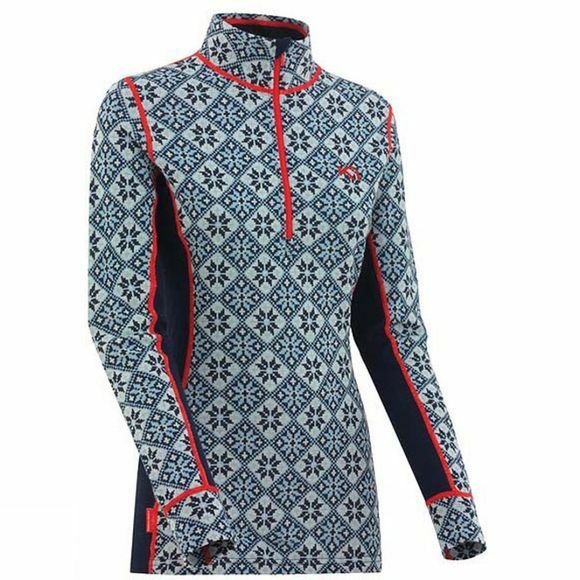 The Women's Rose Half Zip Top from Kari Traa is a lightweight mid layer that offers excellent comfort as well as warmth. Merino wool is naturally odour resistant and extremely soft, making this a great option for multi-day excursions in varied conditions when comfort and freedom of movement is key. The flat locked seams ensure it will sit comfortably against the skin and under other layers.